HOUSTON. 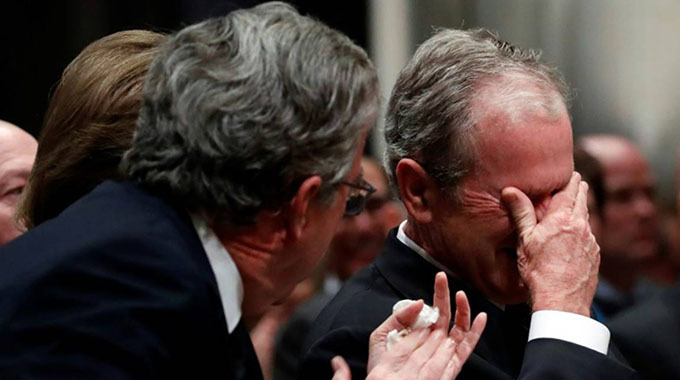 – George H.W Bush is to be laid to rest Thursday, concluding a four-day tribute to the 41st president that saw America briefly set aside its political divisions. 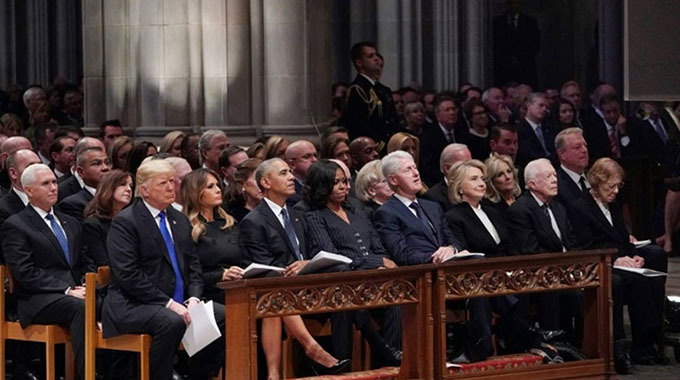 At the memorial service President Donald Trump and First Lady Melania shared a front row pew in the National Cathedral with past presidents Barack Obama, Bill Clinton, Jimmy Carter and their wives as an honour guard brought Bush’s casket into the prayer hall.